When it comes to measuring and weighing things, people seem to like to make things as confusing as possible. Got a liquid to measure? Then you can deal with quarts, liters, fluid ounces, pints, Imperial gallons, cups, half-cups, tablespoons, teaspoons, and the list goes on and on. Want to measure a piece of land or a road? You’ve got miles, kilometers, acres, feet, yards, square yards. 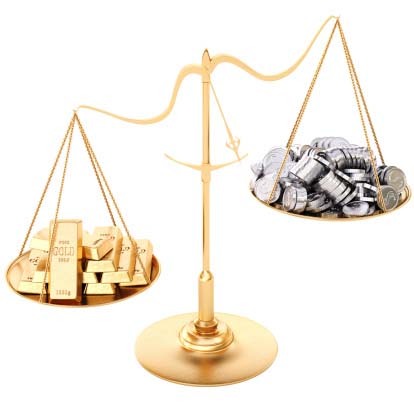 When it comes to weighing metals that you would like to refine by using a precious metal or gold refinery, things also seem odd, because the weight of precious metals is usually given in something called the troy ounce (oz t). A troy ounce is not from Troy. The name “troy ounce” might refer to the city of Troyes, in France, where it might have been used to weigh metals in medieval times. But nobody is sure. A troy ounce is not an ounce. A troy ounce weighs in at 480 grains, whereas a standard ounce weighs less, 437.5 grains. So a troy ounce is bigger than a regular, standard ounce. Let’s get metric. One troy ounce weighs 0.0311034768 kilograms (kg), or 31.1034768 grams (g). To look at it a different way, there are about 32.15 troy ounces in one kilogram of a precious metal that you’re going to refine. Confusing, right? Well, not really, if you just remember that the troy ounce is the standard unit of measure that is applied to precious metals on the London Fix and other exchanges. Once you get used to thinking of precious metals in units of troy ounces, that unit of measure will become as familiar to you as the quarts that you use to measure your milk. When you recycle your precious metals and learn about how much money you can realize from every troy ounce that is extracted from a pile of gold-bearing printed circuit boards or a lot of 500 platinum-rich catalytic converters, it’s one unit of measure that will stick in your mind.